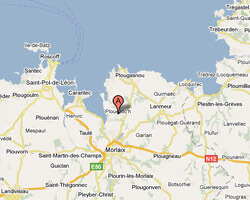 The village of Plouezoc'h is located on the right bank of the Morlaix bay. It offers a unique heritage: the “Château du Taureau” standing on an island at the entrance of Morlaix bay, and the Barnenez cairn, one of the largest tumulus in the world. At the seaside there are sandy beaches with beautiful views of islands. 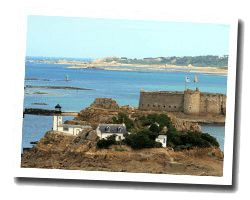 In Plouezoc'h enjoy a seaview holiday rental. 4 rooms house 90 m2. Terrace, garden with outdoor furniture. View of the sea. terraced house 3 rooms. Terrace, garden with outdoor furniture. View of the sea and the rocky coast.